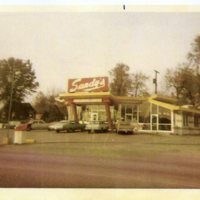 Photograph of Sandy's Drive In Restaurant, Decatur, IL. 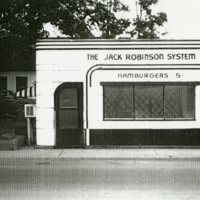 Photograph of the Jack Robinson System Restaurant located at 615 E. Wood St., Decatur, IL. 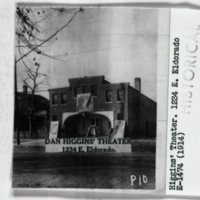 Hamburgers for 5 cents.